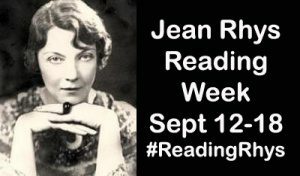 Discovering a writer like Jean Rhys now brings delight, but also a certain amount of frustration and sadness. I’ve always felt a bit disconnected from literary history, because I didn’t really read classics growing up, and never got the sense that there was fiction in the past ‘for me’. It’s only recently that I have begun to explore, and to discover that there are writers from (say) the early 20th century whose work is for me – Woolf, Kafka, now Rhys. So, on the one hand, whole new horizons of fiction have opened up. On the other, I wish it had happened earlier. Still: we move forward. 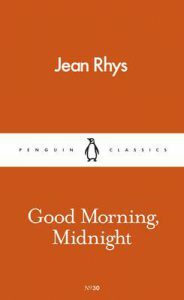 I’ve said previously that Rhys was essentially just a name to me; and I simply was not prepared for how direct and brutal Good Morning, Midnight would be. I can only imagine how it was received at the time, because it’s powerful stuff today. Sasha’s routine is mundane and her hotel room anonymous; but gradually we see what lies behind this seemingly ordinary visit. Sasha is facing despair (“The passages will never lead anywhere, the doors will always be shut”) and seeking to retreat from life (“A room is a place where you hide from the wolves outside”). Her carefully worked out regimen of cafés and bars is her attempt to lose herself in the city. Rhys brings us so close to Sasha by turning the standard relationship between past and present inside out. Ordinarily, we might expect a narrator’s memories to be safely embedded within a tale that’s oriented towards the present. In Good Morning, Midnight, the present-day sections are often flimsy connective tissue, which allows Sasha’s memories to break through and loom the largest. Then we see just what she has experienced, and feel some of the horror that she feels – but also, perhaps, we sense some of the hope. Eric at Lonesome Reader has reviewed Good Morning, Midnight, and also has an interesting interview with Jessica Harrison of Penguin Classics on the new Pocket Penguin edition. I grew up mostly with SF and horror, so I know what you mean. Still, we do get the joy of discovering them now which is no small thing, and I think a background in SF is actually no bad thing because one is more open to experiment (well, one should be, most SF fans are hideously hidebound but those ones probably don’t go on to read literary fiction). Many born and bred fans of litfic rigorously require realism, any departure from the real scrupulously condemned and avoided. That’s an error though, because realism (apart from generally being deeply unrealistic) is but one tool in the novelist’s box and not one that’s always appropriate. So I don’t think it’s all bad to come from outside, as one’s perhaps more open to parallel tracks that those who grew up with the form struggle to engage with. Nice point on the memories overwhelming the present. Rhys is above all a remarkably subtle writer.